Obituary for Elizabeth (Dzuryachko) Yusko | Devlin-Rosmos-Kepp F.H. & C. S.
Elizabeth "Liz" (Dzuryachko) Yusko, 100, wife of the late Michael J. "Yutsie" Yusko, formerly of Phoenixville and Mont Clare, died on Monday, March 25, 2019 in Seasons Hospice. Born on November 28, 1918 in Mont Clare, PA she was the daughter of the late Andrew and Anna (Robish) Dzuryachko. 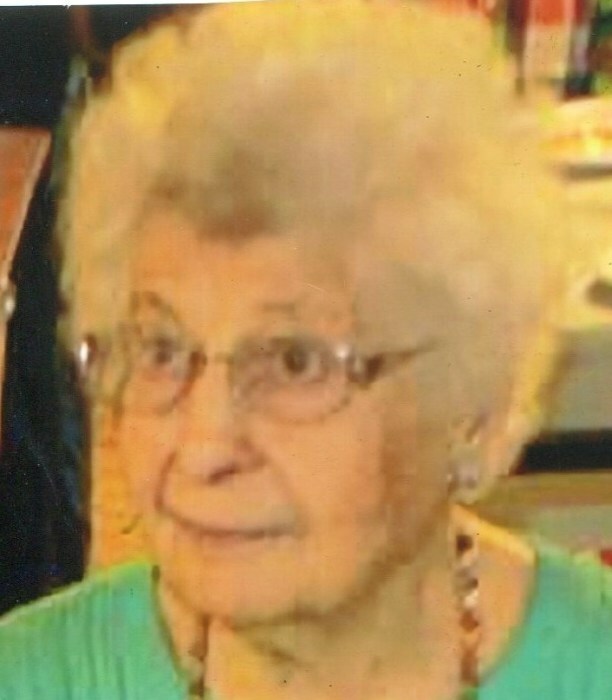 She was a member of St. Mary of the Assumption Catholic Church and former member of Sacred Heart Catholic Church. Liz was a very outgoing person. Loved going to the casino, Shady Maple, playing Bingo, and sitting on her porch on Vanderslice Street. Joseph Dzuryachko, Nicholas Dzuryachko, Andrew Dzuryachko, Helen Brensinger, Theresa Damiani, Anna Welsh, Margaret Kerr, Rita Seech, and Catherine Yatsko. Relatives and friends are invited to attend her Funeral Mass in Sacred Heart Catholic Church, 148 Church Street, Phoenixville, PA on Thursday, March 28, 2019 at 11:00 am. Burial will be private in Sacred Heart Cemetery. A viewing will be held in the Devlin Rosmos Kepp & Gatcha Funeral Home, 517 S. Main Street, Phoenixville, PA on Wednesday, March 27, 2019 from 6:00 to 8:00 pm. In lieu of flowers contributions may be made to St. Jude Children's Research Hospital, 501 St. Jude Place, Memphis, TN 38105 or Mass Cards.